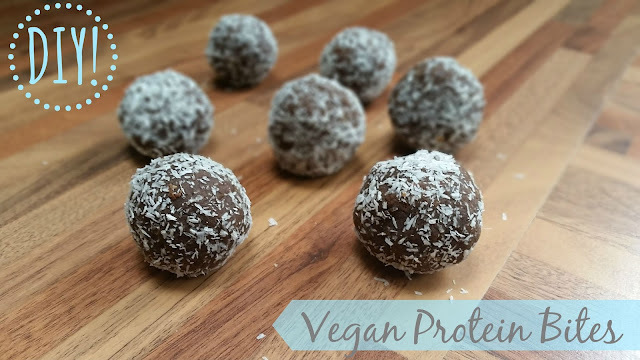 Recipe | Vegan Protein Bites feat. MyProtein*. "But how do you get enough protein?" 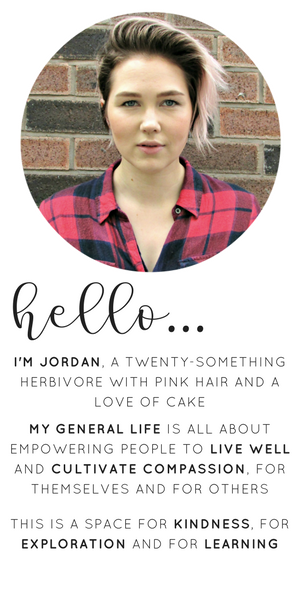 is a question I have frequently been asked since going veggie. In all honesty it's really not that hard and there are plenty of plant based protein sources out there, including, pulses, nuts, seeds, soy and leafy greens. 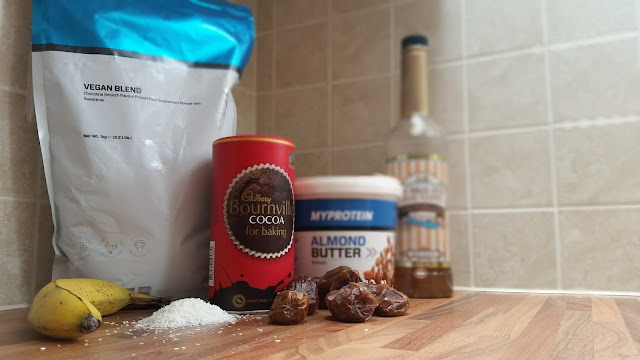 I'm not a huge lover of protein shakes and I do try my very best to get all the protein I need from food sources, however, it is handy to have a stash of protein powder knocking about for occasions when I fancy doing a bit of protein baking. Not being able to tolerate whey protein means that I've have to look towards dairy-free protein supplements, which is where the MyProtein Vegan Blend* comes it. I've tried brown rice protein before (it was grim), so I was keen to try something flavoured that made me feel like I was having a nice treat, rather than a grainy glass of weird tasting sludge. The MyProtein Vegan Blend is a mix of pea protein isolate, brown rice protein concentrate and hemp protein, with some cocoa and sucralose added along with something called DigeZyme®. Although even with added sweetner, this protein blend doesn't have the real artificial, overly sweet flavour that some whey protein has. Being honest I can still tell that there's rice protein in there, but it's no where near as bad a pure rice protein on it's own (in my opinion anyway). 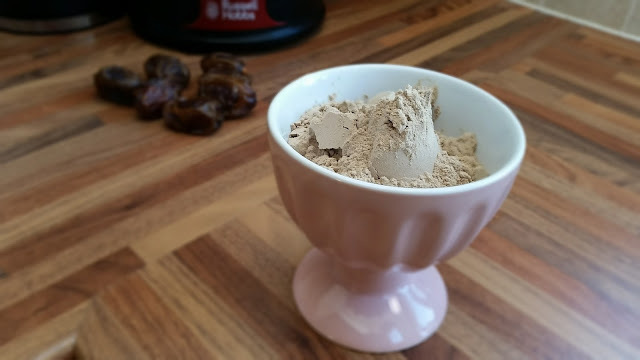 As I mentioned earlier, I'm a fan of protein baking, which hasn't been too successful with the MyProtein Vegan Blend thus far (aside from these tasty protein bites). I've tried whipping up a beltsander brownie and some protein pancakes and it just doesn't seem to work. The mix just seems to bubble up and not actually cook, so I don't know if it has something to do with the lack of dairy, but I will continue to experiment so watch this space! 3. Form into bite-sized balls and roll in the dessicated coconut. 4. Chill in the fridge and ENJOY! These literally are so simple and they really have been going down a storm in my house. I'm not sure on the macros of them to be honest, but this mix made about 15 protein bites. I've been taking 2 to work each day this week for my mid-morning pick me up, delightful with a nice brew! FUN FACT: Did you know that MyProtein is not only available in the UK, but in the US too! So for anyone reading this over the pond, you can get in on the action! Is this something you would make? Do you have any more vegan protein recipes that you could share with the group? I'd love to know either in the comments below, or drop me a tweet @mygenerallife. Recipe | Vegan 'Cheese' Sauce. Ways To Cheer Yourself Up, Right NOW!